I was rocked when early tonight I discovered my writing mentor above all others passed away. 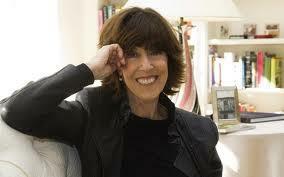 Nora Ephron wrote heartwarming, poignant, and honest words that translated into films, essays, plays, novels, and television shows that break us down but also lift us up. I immediately went to find my favorite movie, When Harry Met Sally, and plan to watch it now to honor her in my own small, weird tribute as I nurse a beer and shed tears for a woman who touched me in so many ways. On a day when I needed reminded about what truly matters, Nora once again came through albeit under unwelcome circumstances. Although I always hoped I would run into her in New York, I will have to instead dive into her words for solace and inspiration. Thank you for living your life with passion, purpose, and most of all, humor. You will be sorely missed, and I wouldn't be a writer today without your words. Kicking It Into High Gear!